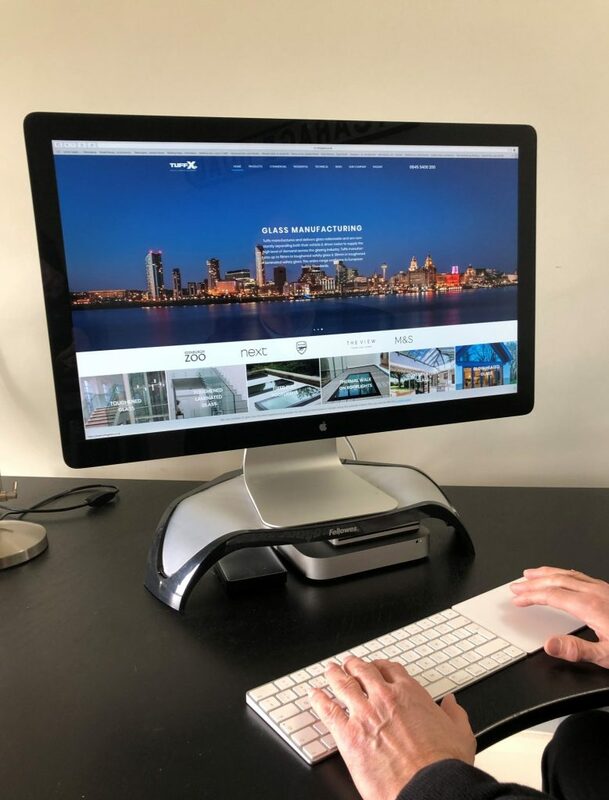 Glass specialist TuffX has launched a responsive new website designed to optimise the visitor experience, for both its residential and commercial customers, and better deliver the company’s diverse offering. The motivation for the change was two-fold, as IT Manager, Paul Cairns explains: “Efficiency was one of the key drivers. The old site served a purpose but was overly complicated to maintain in-house; keeping both products and news fully updated for our customers used to be a time consuming job. With the new site this has all been streamlined, as well as the aesthetics being overhauled to better show the quality and applications of our products. Better promotion of the full TuffX catalogue was one of the primary outcomes for Managing Director, Graham Price: “When we realised how few people knew that TuffX supplied glass for stairs, flooring and balustrades, we made sure this was one of the areas that was addressed. The eye naturally follows an ‘F’ pattern when viewing a page, so the ‘Product’ tab is now placed in a more prominent position with the dropdown menu then detailing each of our range categories; Range, Application and Decorative, followed by a full product list.